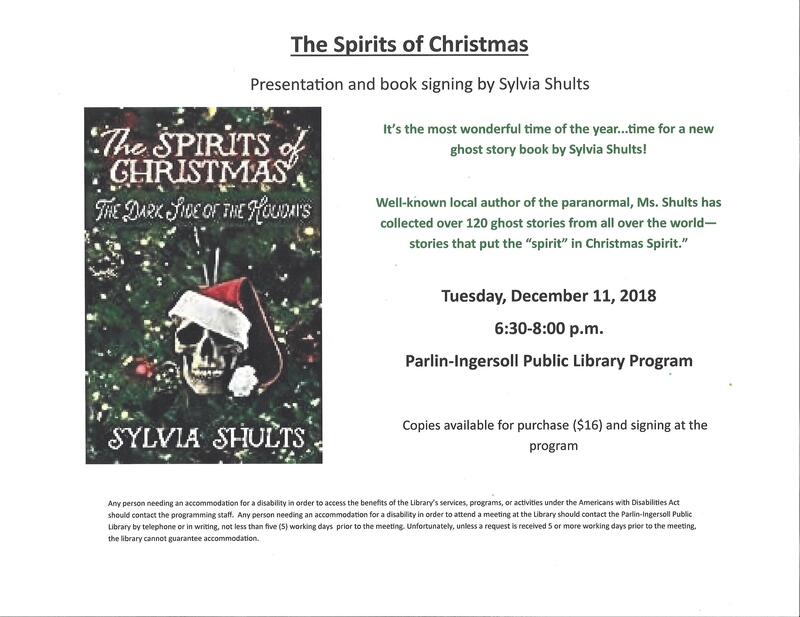 The Spirits of Christmas is the new book by well-known local author of the paranormal, Sylvia Shults. Ms. Shults has collected over 120 ghost stories from all over the world – stories that put the “spirit” in Christmas Spirit. She will be visiting the library Tuesday, December 11 @ 6:30 p.m. to talk about these spooky yuletide stories. Copies of the book will be available for purchase ($16.00) and signing at the program.